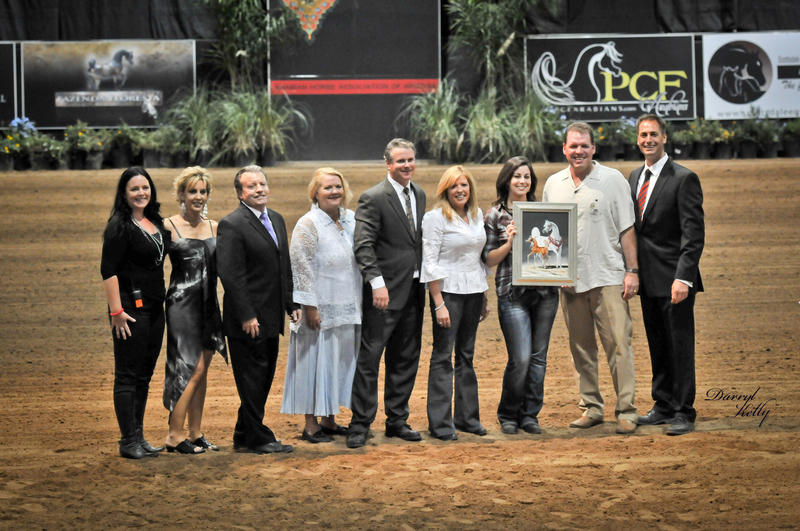 Press releases and articles on world-wide Arabian horse events. Imagine if you will, a small child. A girl around the age of nine. She throws on a pair of dirty jeans over the basketball shorts she slept in and haphazardly buttons up her western style shirt. She didn’t comb her hair; there was no time for such things today. As she raced to the other side of the farm away from her families small home at Lasma Arabians, she couldn’t stop thinking about all the excitement awaiting her on this glorious day in Scottsdale. Blissfully unaware of what was really going on, she knew everyone had been preparing for this day for months and the excitement in the air that the day of the auction had finally come was exhilarating! She did not know that she was a part of some of the most important history imaginable for the Arabian horse industry. Fast-forward 34 years. On the outside, I paid a little more attention to my appearance, on the inside; I am that same little girl. I can’t wait to get to Westworld to see the set up that we had all so carefully planned. Somehow, this time, I knew we were embarking on an event that would make history in our breed. The photos, the videos, the words cannot describe the setting and the feeling in the air that first night of the show. The red carpet, the twinkling lights and each farm’s version of their cabana decorated to entertain their clients set the stage. As everyone excitedly greeted each other and found their way to their seats, the gate opened for the first class. The horses entered an arena that had been decorated from one end to the next with elegant black drapes, luxury cars and beautiful banners of the farms that so handsomely supported this inaugural event. I’m not ashamed to admit that I had butterflies in my stomach and goose bumps all over. It was all that I had hoped it would be and more! There were many critics in the development stages of this show. Some had doubt that it could actually be pulled off just a year after the idea had been sprung. Many were skeptical about the number of horses and spectators the show would bring. No one had any idea, not even those of us involved in the show, just how spectacular an atmosphere would be created for this event. I have asked everyone I know that was at the show for their thoughts. Though I was so intensely moved by its success, it was almost surprising to me how highly everyone else praised the show. The show committee is already making big plans for 2012! Breeders Club Yearling classes, added prize money for the weanlings, more cabanas and great entertainment!